EXCLUSIVE: Agents Of S.H.I.E.L.D. 's Elizabeth Henstridge Talks Simmons' "Coming Of Age" In "4,722 Hours"
Season 2 of Marvel's Agents of S.H.I.E.L.D. ended with a shocking cliffhanger. 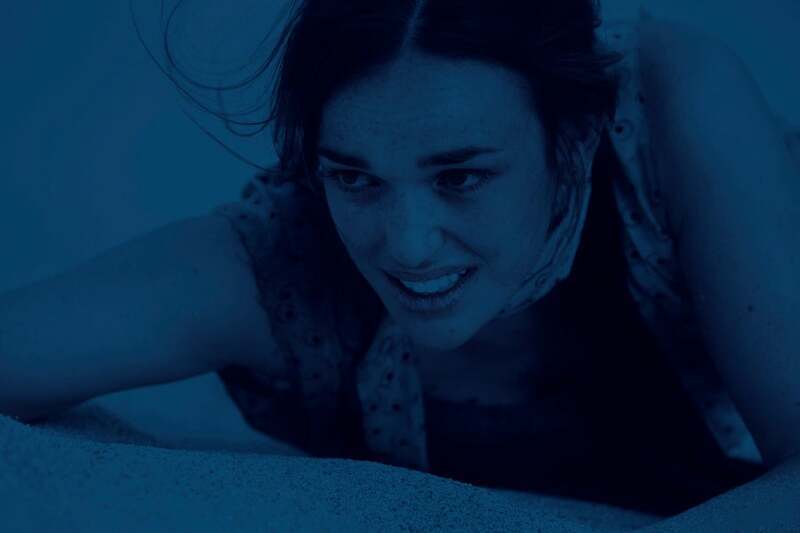 Jemma Simmons, played by Elizabeth Henstridge, was consumed by the mysterious monolith obtained by S.H.I.E.L.D., and disappeared. As of the Season 3 premiere, 6 months had passed and Simmons hadn’t returned. In the season's second episode, Leo Fitz finally managed to open the monolith and bring Simmons home. While it was clear Simmons was grateful, it has also become clear that her experience changed her. What transpired on the other side of that monolith? How did she survive those six months on her own? The answers to those question will finally be revealed in tonight’s episode of Marvel's Agents of S.H.I.E.L.D. Titled “4,722 Hours,” the episode chronicles her experiences during her six months away. ComicBook.com spoke to Henstridge about her experience finally telling Simmons’ story. EH: At the end of Seaosn 2, I didn’t know anything. Well, I knew that she was alive, but even that you don’t want to put too much weight on. Anything can happen. I knew going into Season 3, I knew that she would come back and I knew that she would come back fairly quickly, but that she would be fairly traumatized by what had happened on the planet, but I didn’t know what had happened on the planet at that point, before we started filming Season 3. Then, a few weeks before we were to get the script for Episode 5 – maybe a couple of weeks before – they sat me down and said, “This is what we’re thinking of doing,” and I was so excited by it but just – I just didn’t think it would happen. I thought it was such a brave thing to make, and we’d never written anything like this before, and it was just so different that I thought, “crazy cool idea,” and I was so honored to have been tasked with that challenge, but I just thought, “There’s no way that this will make through the different layers of producers and everything.” And then we were on set filming, and it was happening, so it’s something that the whole cast is really excited about as well, and has been very supportive. When I read the script I was just in floods of tears, it was like going on a roller coaster, and Craig Titley is just the most wonderful writer, and he just knocked it out of the park. You were tasked with really selling the isolation of this story, and then had to go through practically and entire season’s worth of emotions in this one episode. What was it like trying to prepare for the episode? EH: [Laughs] Firstly, it was just that I was setting my alarm every day. I mean, I don’t usually work five days a week, so that was a shock to the system [laughs]. I was just so excited. As an actor, you got to tons of auditions, and you prepare for tons of different roles that you don’t end up getting. Just to be on the show, and to play a character that I love, I feel like I’ve won the jackpot. To get to explore that character for every scene in an episode is just brilliant, it’s like a dream come true. I prepared for it like I prepare for any acting gig. It starts with the script for me, so I just tore apart the script and had a lot of conversations with Jesse Bochco, our director, and the writer, Craig Titley, to kind of make sure we were all on the same page, and to ask them any questions. And then we did a lot of stuff in the desert, over 100 degrees, without any of the usual – so I kind of felt very isolated, because I couldn’t see anything for miles, and it was hot, and we were moving very quickly. A lot of the weather elements helped to get us all, I think, into the kind of fight or flight more. If you were to describe this episode to somebody, how would you describe it, at least on genre lines? Is it a horror piece? An adventure? EH: Well, honestly, to me it feels like a coming-of-age story. I think we see Simmons at the start, and she’s never really been combat ready, you know? She’s gotten more competent, but she’s not a fighter. Through this, we see her have to survive, and just to see her go on this journey from complete despair, and being very attached to Ftiz emotionally, and then her going through a journey where she survives, and she has to do some very difficult and physically taxing things to survive. So I’d say coming-of-age, and I’d guess there’s thriller in there too. I don’t know if I’d go as far as horror. It’s a very human story I think, and potentially a feminism story as well. Marvel's Agents of S.H.I.E.L.D. airs Tuesdays at 9 p.m. ET on ABC.